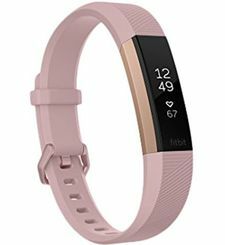 Fitbit Charge 2 fitness wristband is designed to assist you in your daily routine and hence improve your health. Get this fitness band from Souq.com. 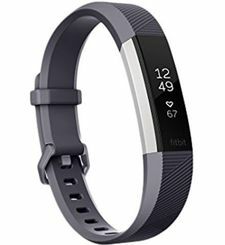 The Fitbit Charge 2 Heart Rate and Fitness Wristband keeps track of your fitness through the day and night. Work out better and sleep well with the amazing features installed in the Charge 2. It is small and features a black band, which completes its look and offers a snug and comfy all day fit. Sync the Fitbit Charge 2 to your smartphone and enjoy the privilege of seeing call and texts reminders on its display without having to halt your jog. This fitness band tracks your daily activities with sophistication and suggests smart and efficient ways that help improve your physical health. For, in a healthy body rests a healthy mind. The Fitbit Charge 2 Fitness Wristband tracks your heart rate continuously and gives a comprehensive idea of your health. It also notifies you of the number of calories burned and helps you streamline your daily physical activities as per your needs. Manage stress by following the breathing sessions guided by the Fitbit Charge 2. The multisport modes of the this Fitbit fitness band track specific exercises such as running, weights or yoga and let you see the status of your workout on display. The wristband is easy to connect to your phone’s GPS for real time feed of the stats like pace and distance on your wrist and also a map of your route post workout. The SmartTrack feature automatically records selected exercises such as hiking, biking, sports and more, and thus you get credit even if you forget to log a workout. The Fitbit Charge 2 automatically tracks your sleep duration and consistency. The Sleep Stages shows your time in light, deep and REM sleep and enables you to understand your sleep quality. All the more, the Sleep Insights gives you the information that will help you to get the best rest possible for a healthy and productive lifestyle. 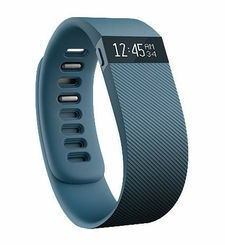 Fitbit Charge 2 fitness wristband is designed to assist you in your daily routine and hence improve your health. Get this fitness band from Souq.com. 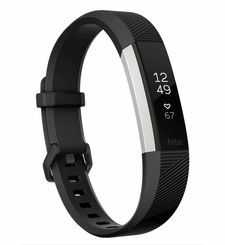 The Fitbit Charge 2 Heart Rate and Fitness Wristband keeps track of your fitness through the day and night. Work out better and sleep well with the amazing features installed in the Charge 2. It is small and features a black band, which completes its look and offers a snug and comfy all day fit. Sync the Fitbit Charge 2 to your smartphone and enjoy the privilege of seeing call and texts reminders on its display without having to halt your jog. This fitness band tracks your daily activities with sophistication and suggests smart and efficient ways that help improve your physical health. For, in a healthy body rests a healthy mind. 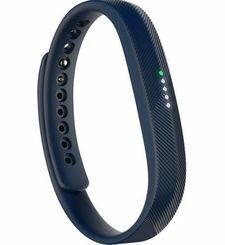 KNOW YOUR HEARTBEAT WITH FITBIT The Fitbit Charge 2 Fitness Wristband tracks your heart rate continuously and gives a comprehensive idea of your health. It also notifies you of the number of calories burned and helps you streamline your daily physical activities as per your needs. Manage stress by following the breathing sessions guided by the Fitbit Charge 2. 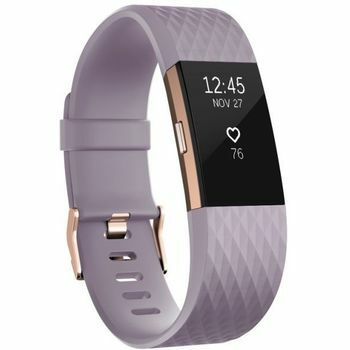 SMART WORKOUT The multisport modes of the this Fitbit fitness band track specific exercises such as running, weights or yoga and let you see the status of your workout on display. The wristband is easy to connect to your phone’s GPS for real time feed of the stats like pace and distance on your wrist and also a map of your route post workout. The SmartTrack feature automatically records selected exercises such as hiking, biking, sports and more, and thus you get credit even if you forget to log a workout. SLEEP WELL WITH FITBIT The Fitbit Charge 2 automatically tracks your sleep duration and consistency. The Sleep Stages shows your time in light, deep and REM sleep and enables you to understand your sleep quality. All the more, the Sleep Insights gives you the information that will help you to get the best rest possible for a healthy and productive lifestyle.